Wear together with the silk suit trouser to give you the perfect outfit. Or pair with jeans for a more casual look. 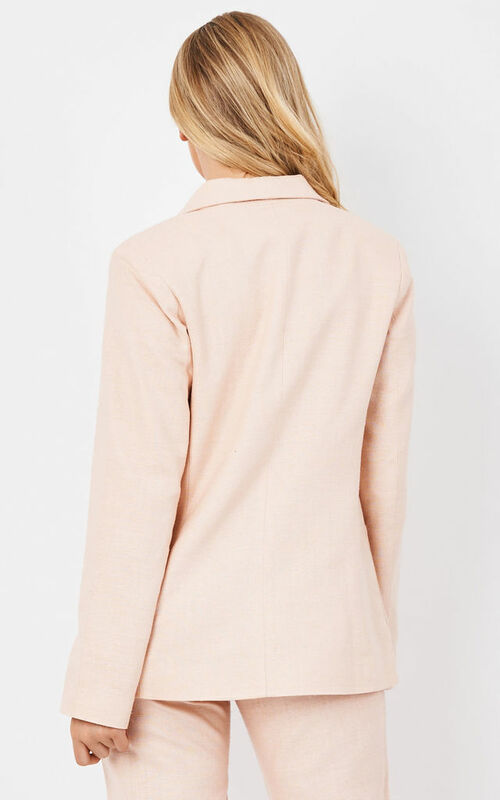 The clean lines and lightweight woven silk fabric make in pastel pink make it the perfect choice for summer. Model is 5'6 and a UK size 8 model, she wears a size 8 Jacket. The style of the jacket is relaxed and softly tailored but not fitted.